This talk is an analysis of what the Alt-Right stands for and who its followers and leaders. This talk will look at the support for this reactionary network, arguing that while Trump is in office and the far-right grows across Europe, we need to gain a deeper understanding of the movement’s philosophy, history and role in politics today. While the movement appears to have burst out of nowhere, Mike Wendling has been tracking the Alt-Right for years. He reveals the role of technological utopians, reactionary philosophers, the notorious 4chan and 8chan bulletin boards, and a range of bloggers, vloggers and tweeters, highlighting the extreme ideas which underpin the movement’s thought. This talk is an analysis of what the Alt-Right stands for and who its followers and leaders are and what we do could when confronted with extreme views. Mike Wendling is a writer, producer and broadcaster. An editor at BBC Trending, which investigates social media stories, he’s spent years covering extremism and internet culture for radio, online and television, and was part of the BBC team covering the 2016 US presidential election. 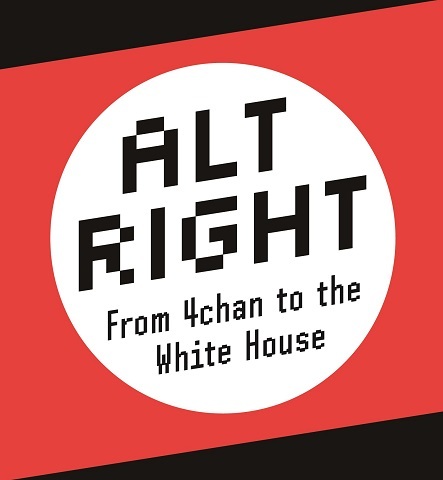 He is the author of Alt-Right: From 4chan to the White House (Pluto, 2018).